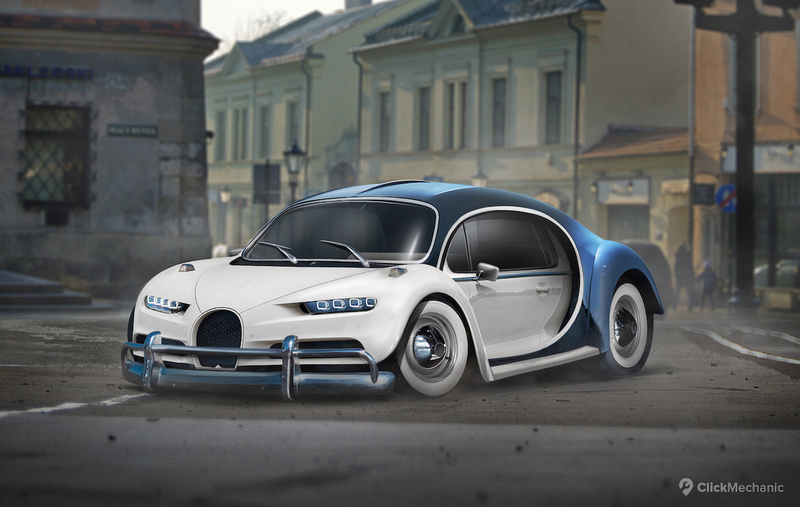 Have you ever wondered what a combination of a Bugatti Chiron and a Volkswagen Beetle would look like? Crazy thought, right? But wait, we’re not done yet! 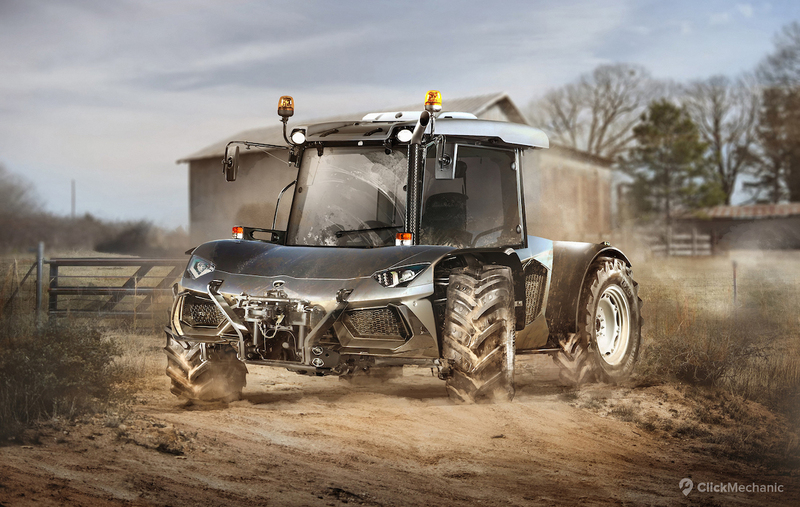 What if Lamborghini created a vehicle as a tribute to its supercars as well as the tractors it produced for farmers? These were some of the ideas that came to mind when we created these unholy mashups. BMW’s plug-in hybrid i8 sports car offers modern technology, but no matter how impressive the technology is, an electric vehicle is not a real sports car to proper petrolheads. That’s why we mashed it up with a Dodge Charger. Our creation has a blower on its hood and a V8 engine. Chrome trims the wheel arches, and the front bumper chrome is painted in matte black. The rear has received a Nascar-style spoiler. When you see a Bugatti Chiron, the brand’s new flagship with a 1500-horsepower quad-turbocharged engine, a classic Volkswagen Beetle is not the first car that comes to mind. But since we’re thinking outside the box, of course we mashed them up! Instead of the current trend of ever-lighter cars, our car has heavy chrome bumpers and alloy wheels. It takes the fenders and the greenhouse from a classic Beetle, but the rest is Chiron: especially the ultra-modern LED-headlights, which create nice contrast. 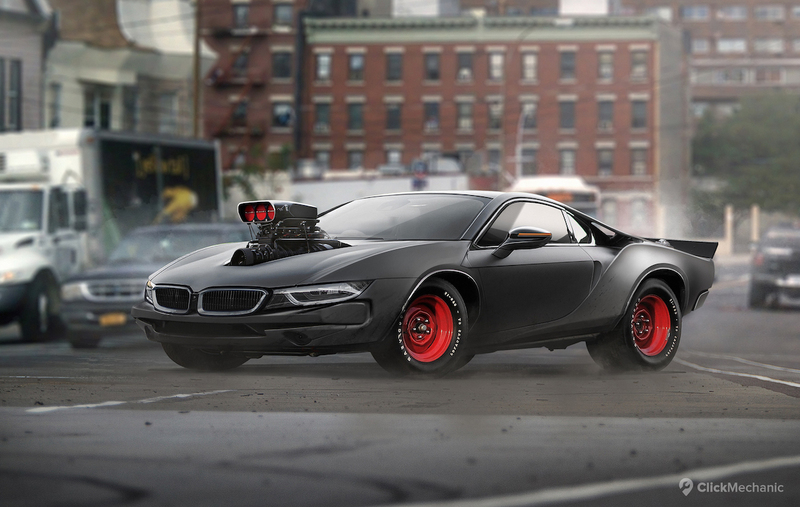 This mashup combines two very different cars, but both are classics in their own right. Whereas the Pagani Huayra is constructed with master craftsmanship and extreme attention to detail, the Camaro is more rugged – with this American muscle car you get your hands dirty. 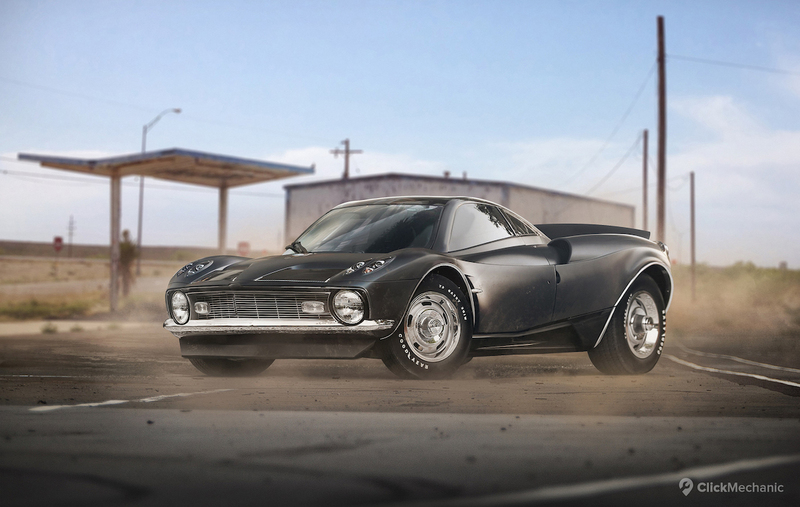 We added the Camaro’s grille and headlights to the very precise, calculated appearance of the Pagani, and we got a car that reminds us of a Nissan Juke! The Nascar-style spoiler gives our car a very muscle look. 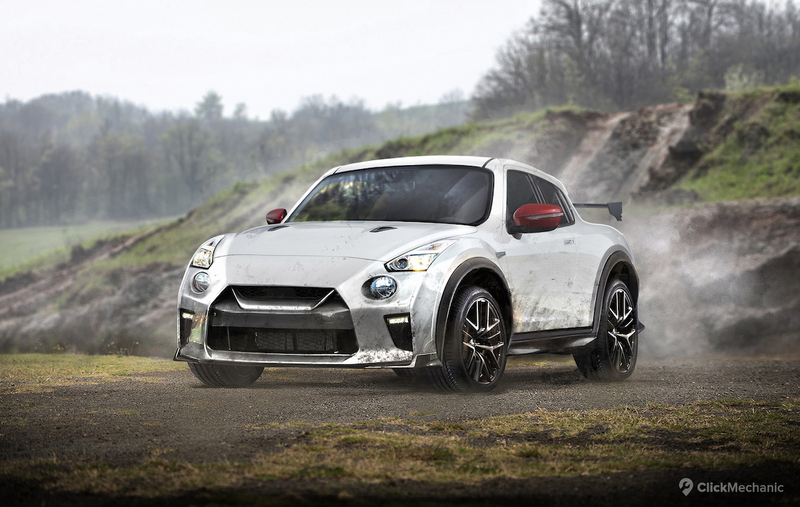 Since we already mentioned the Nissan Juke, we decided to mash it up with the Nissan GTR. Nissan’s small SUV has been a hit, but people really love the Nissan GTR.Because of the GTR’s mass appeal, we decided to keep the Juke’s chassis and add the main features from the GTR. Our creation has the main grill shape/front bumper and the headlights of the latest GTR, but we’ve also kept the round headlights from the Juke; this combo creates a nice balance. 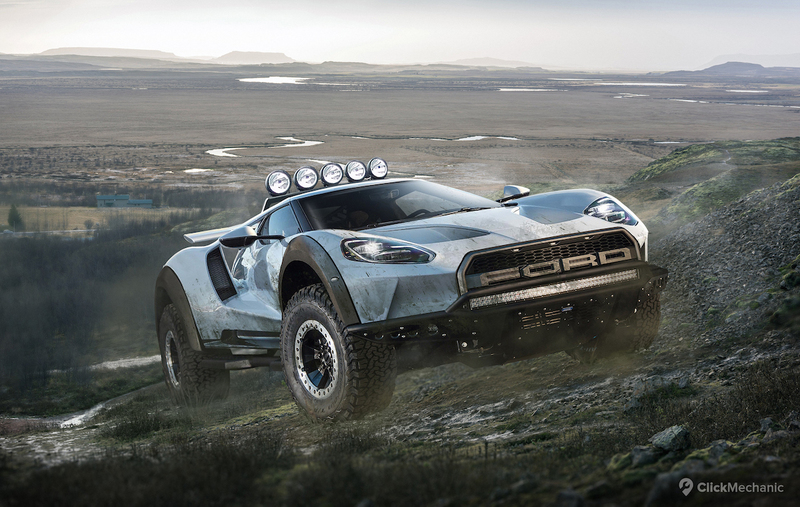 “You can’t have everything,” people say, and it’s just as true in the world of cars— if you want a car for the track, you can’t take it off-roading, and vice versa. The Ford GT 2017 drives like a dream on the track, but lacks off-road capabilities. The Ford Raptor is perfect for off-road terrain, but it won’t break lap records on Nürburgring. Because of this we mashed the cars up to create the best car for all-terrain fun! Lamborghini is known for its beautiful and fast supercars, but few remember the company started with tractors! We decided to take the Italian brand back to its roots and mashed up a Lamborghini Aventador – possibly one of the brand’s most beautiful and flawless cars – and a modern Lamborghini tractor. You can easily fit five people into our Lamborghini Aventractor. It also has a massive winch, capable of pulling heavy loads, and a connector for a massive plow. Ferrari and Fiat broke up, but we fixed it. 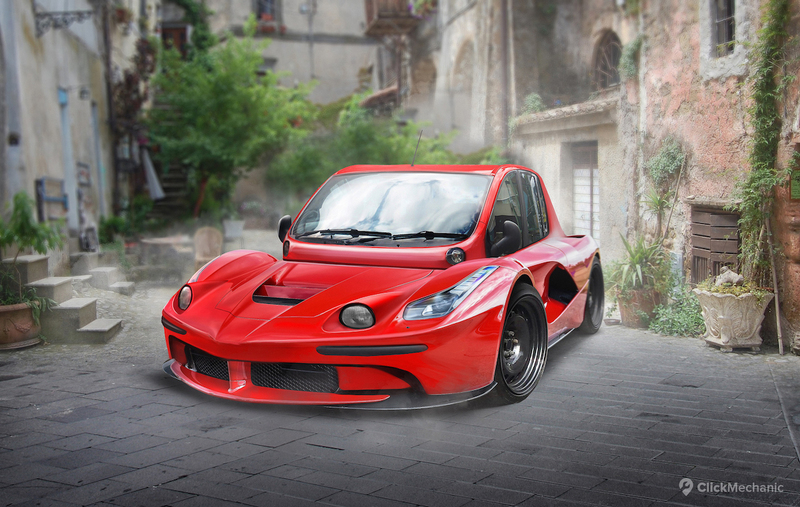 We combined the best of Ferrari (the LaFerrari) and the very worst of Fiat (the Multipla). The LaFiat has Ferrari’s chassis, but we swapped in the Fiat Multipla’s greenhouse – and it looks massive! The Ferrari’s wheels Have been replaced by steelies. The LaFiat has lamps under the A-pillar, plus two more headlights, in addition to the original Ferrari’s lights, so the driver can see the road from the massive cockpit even at night. Although car makers introduce new concepts and designs, our mashups show that it is possible to create inspiring and unique cars from existing models – as long as you think outside the box. And, the next time you see a Lamborghini, remember the company started with tractors.